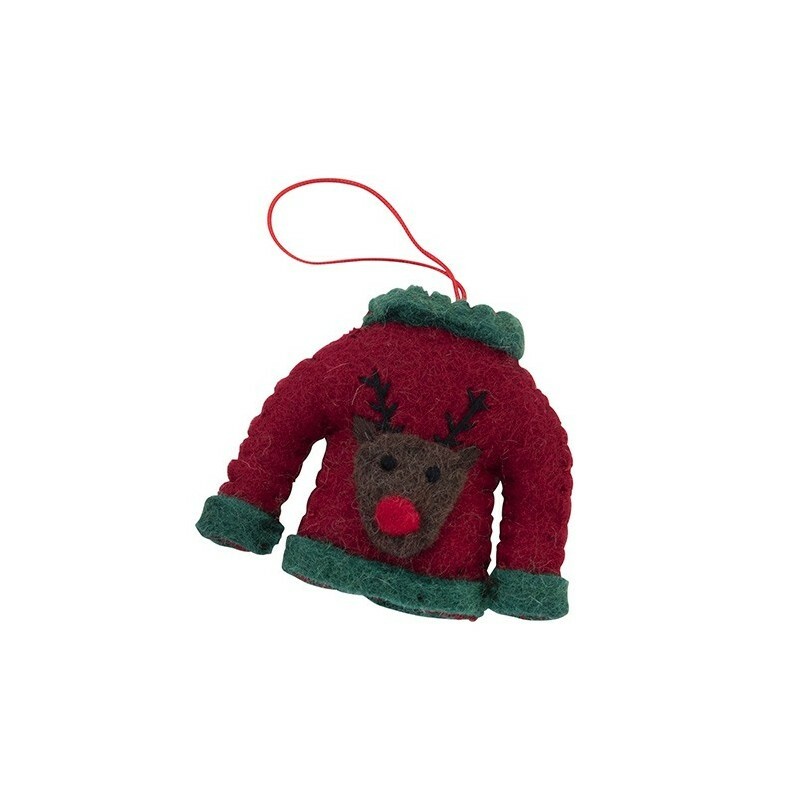 This felt reindeer Christmas decoration is fairtrade and handmade in Nepal. Price is for one decoration. 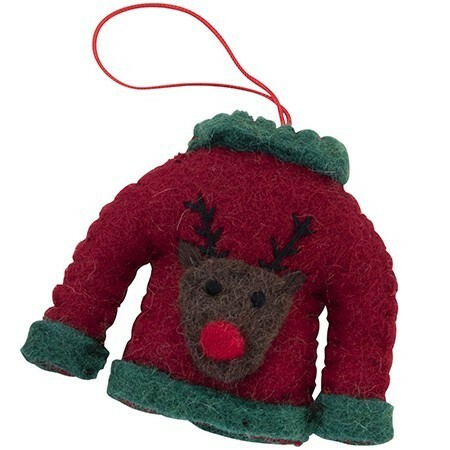 Has a string for hanging from your Christmas tree or around the home. Approximately 12cm height. Wool, felt.